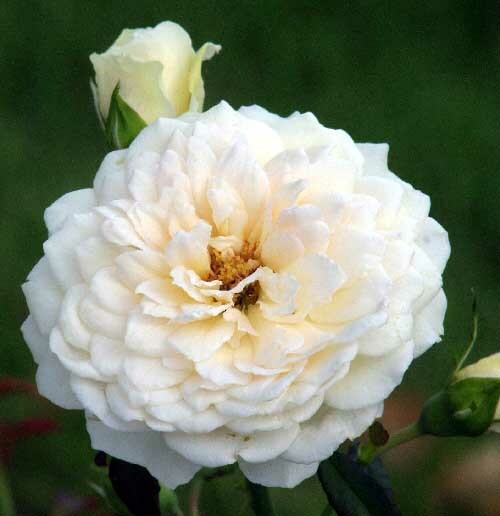 `Sombreuil' is a hardy, but thorny, climbing white Tea. The blooms are large, flat and very double. It has a delicious Tea fragrance. 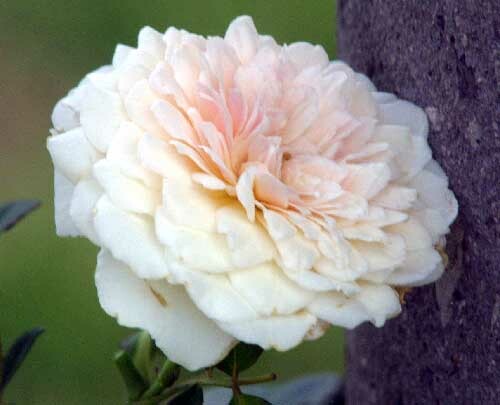 It is a good rose to train up a pillar or on a fence. Ours have been nearly smothered for years by `Alistair Stella Grey', so have not grown as much as they should. Now that it is free to enjoy the sun, it should get from 8' to 12' tall. Bred in France in 1850 by M. Robert.